We understand that all power system requirements are different, and we are here to provide you with the best solution for your requirement. 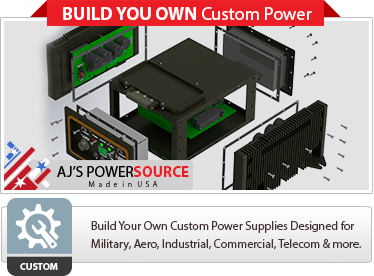 The ability to design and manufacture custom power solutions has always been our strong suit. 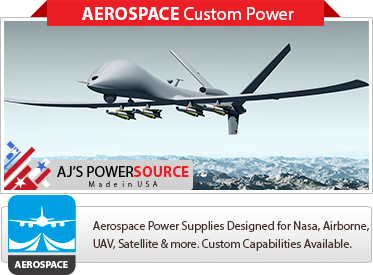 Fill out the form with your custom power requirements. Upload your data sheet, specs sheet and/or mechanical sheet. 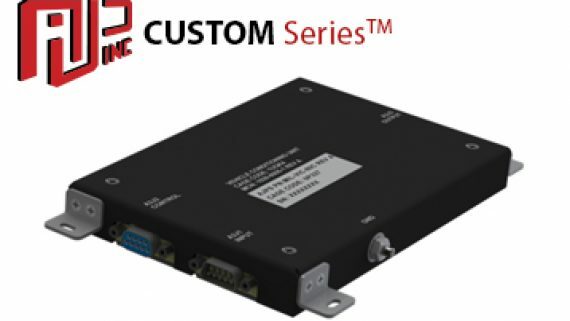 Your power supply will be designed and shipped to your door. 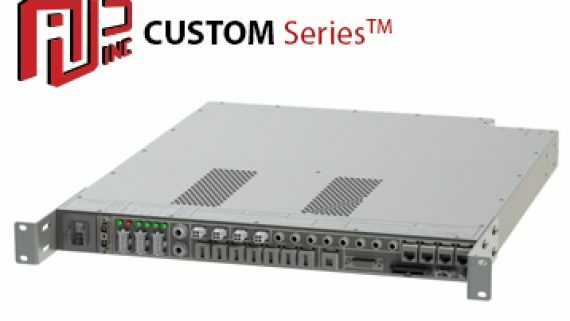 COTS, MOTS, Configurable, Pluggable, Modular & Standard configurations including Rack mount, Chassis, Fully Enclosed, Baseplate and Custom chassis. The objective of our Custom Power Engineering Team is to achieve total customer satisfaction by consistently meeting or exceeding our customer’s expectations for product quality and performance. 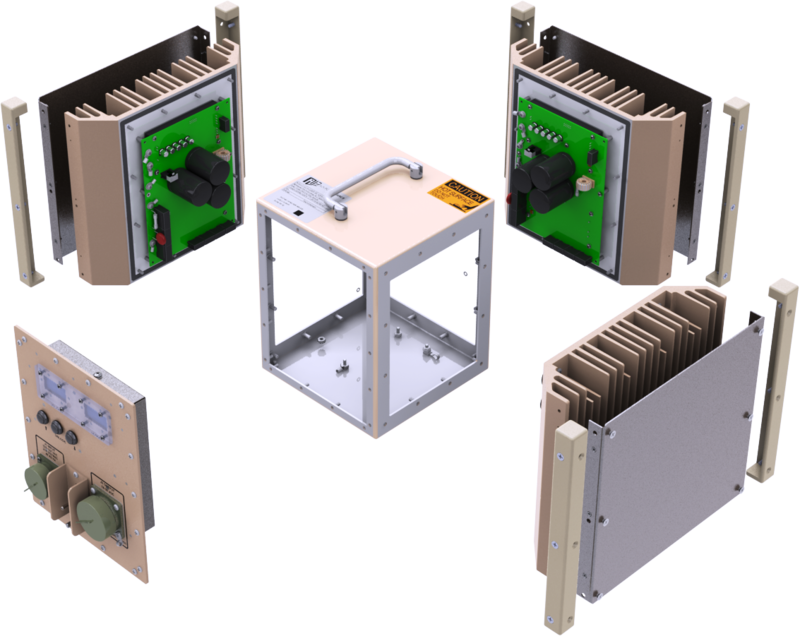 In our design efforts for engineering to a set of customer driven specifications, we take into consideration meeting or exceeding all requirements as well as looking at items that can offer a cost savings. 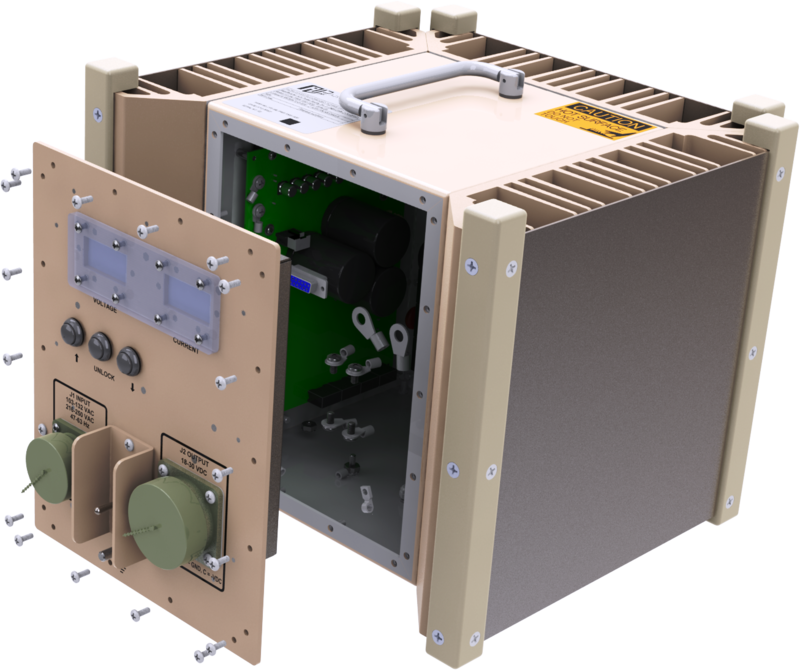 Our research & development teams are continually expanding our library of power technologies to support your next-generation platform needs. 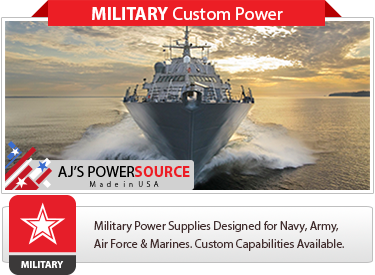 AJ’s Power Source (AJPS) designs around Military Power and Environmental standards required to meet all rugged environments. The engineering team designs to the technical requirements for military-unique or substantially modified commercial processes, procedures, practices, and methods. There are five types of defense standards: interface standards, design criteria standards, manufacturing process standards, standard practices, and test method standards. 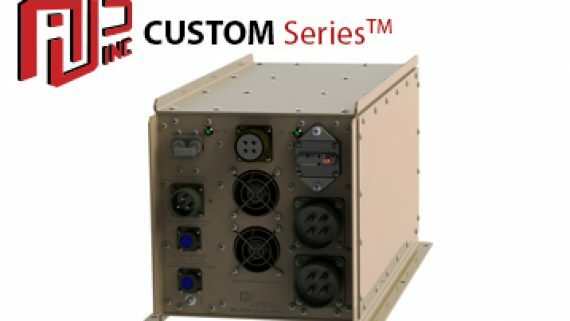 AJPS power Technologies uses design techniques to pass the UL and CE mark for European compliance. 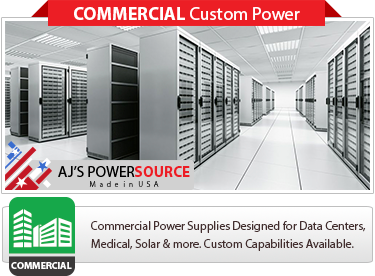 AJ’s Power Source is committed to provide global safety standards for all of our products. AJPS certifications provide the higher degree of assurance to our connector, component and consumer device customers. 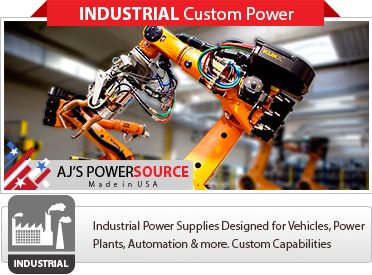 AJ’s Power Source Inc. has the complete capability to design metal components and printed circuit boards to accommodate all elements of the system. Included with the design is a product specification and test procedure for every unit.